A modern take on a classic tiki bar serving inspired cocktails. Must be 21 years of age or older to enter. The service, ambiance, and Tiki drinks were absolutely top notch! 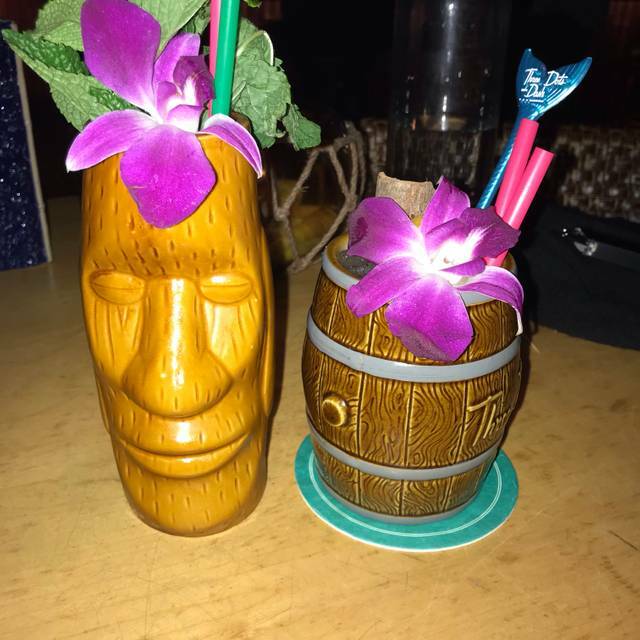 Keep in mind, Tiki drinks in general are on the pricier side; however, you do get what you paid for and I was beyond pleased with our experience. Celebrating my 50th Bday on a windy snowy day and this place made me feel like I was in a lounge in Hawaii! Great server, spectacular drinks and presentation and all around cool vibe!! It’s a MUST see! The energy is good but the drinks were weak and too sweat, not worth their value. We were blown away by every drink we tried! Ambiance was spot on, even with the place full we could comfortably have a conversation with our friends at the table. Staff was very friendly and knowledgeable about the drinks. Prices were towards the higher end of the normal range we have seen other tiki bars we have visited around the country. Very cool environment and so fun! Definitely going back. Girls Night Out! 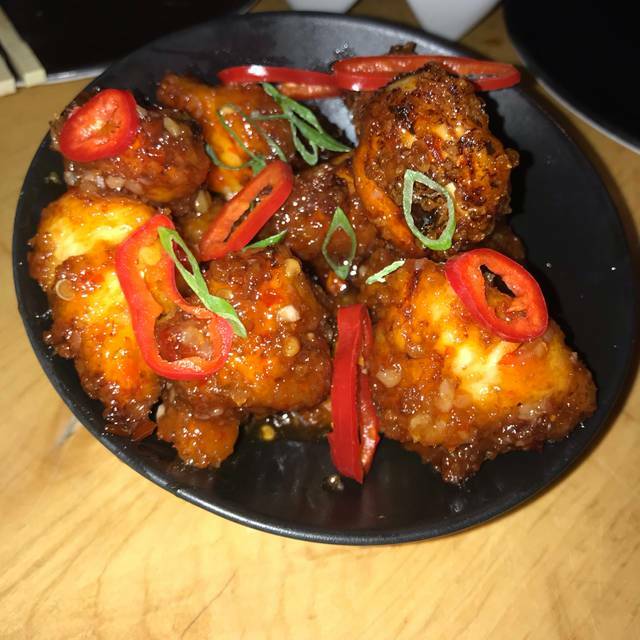 It was a great time, the food was excellent, and the service was awesome! The grand pu-pu platter was a great value for a group! The drinks were superb! We tried six different drinks at our table and they were wonderful to sip and garnished beautifully. You must have a reservation to sit at a comfortable table and we left just before 10pm when the volume was really starting to pickup. Our waiter was amazing ! Came to check on us throughout the visit and was very efficient. From the alley to the basement the bar is pretty outstanding ambience wise. I wish i had better service though. Our waitress was not so helpful or even nice in general. We had to keep ordering with another waitress because she saw we were being ignored. For spending over $400 i expected better service. It was an ok experience for a one time visit. This place is a Chicago institution. It feels like being in Polynesia as if you were transported to another world. The drinks are fun and the food is fried. Late night can be noisy and a crush but well worth it. 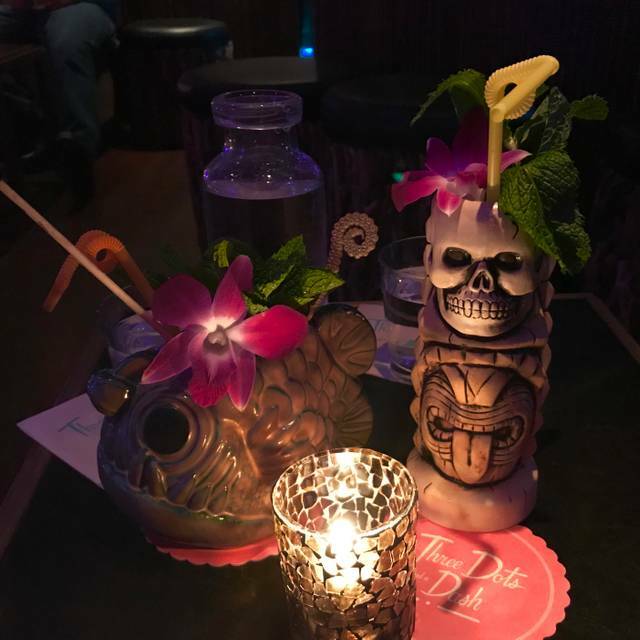 Great Chicago tiki bar, fabulous cocktails and food, wonderful atmosphere and friendly staff. Well worth a visit! I always have a great time at Three Dots. The drinks are delicious and have a great presentation which makes you feel less bad when the check comes. It's a great place to begin or end a night with a date or a group of friends. All the group cocktails are really fun, especially the Lapu Lapu which is delicious and listed for 2 people, so you don't have to commit to something too big/pricey upfront. We also had the Trader Vic Mai Tai, the Painkiller, Camp Anawanna, Bourbon Cocktail and Aloha Felicia -each of which was more delicious than the previous. Went for my birthday celebration and had a wonderful time! Love the decor and they have some the funnest and best drinks! Book reservations in advance! Perfect for a group for drinks and shareable bites. All really tasty! Delicious (and strong!) 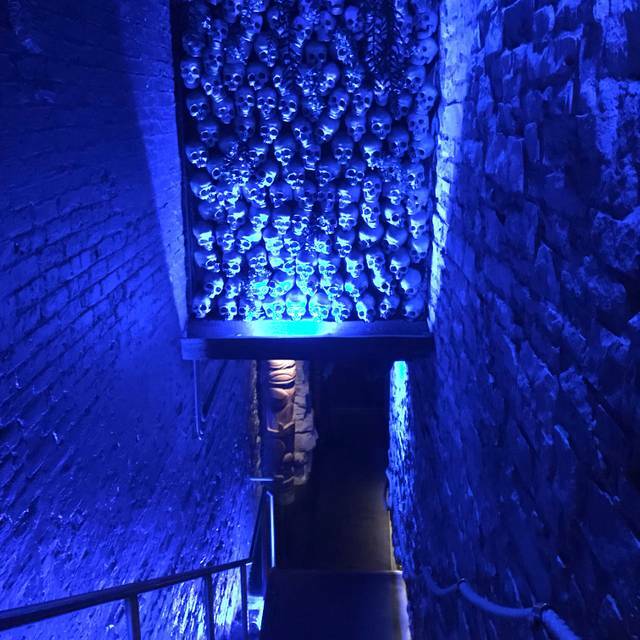 drinks in a fun atmosphere. Recommend making reservations if you can, especially on Saturdays. I had a great time. The drinks were great and the food, well I should say, the appetizers were yummy. I got together with some of of my friends and our waitress and wait staff were very friendly. There were a lot of people, so it was difficult to try and flag down our waitress sometimes, but she was very attentive when she was able to get to us. They gave me a birthday shot and lei. I had a great time. Thanks! 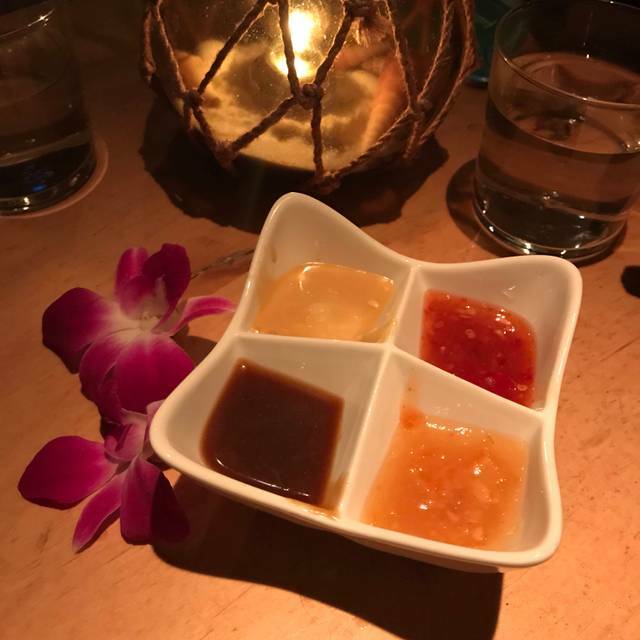 What a unique cocktail experience. 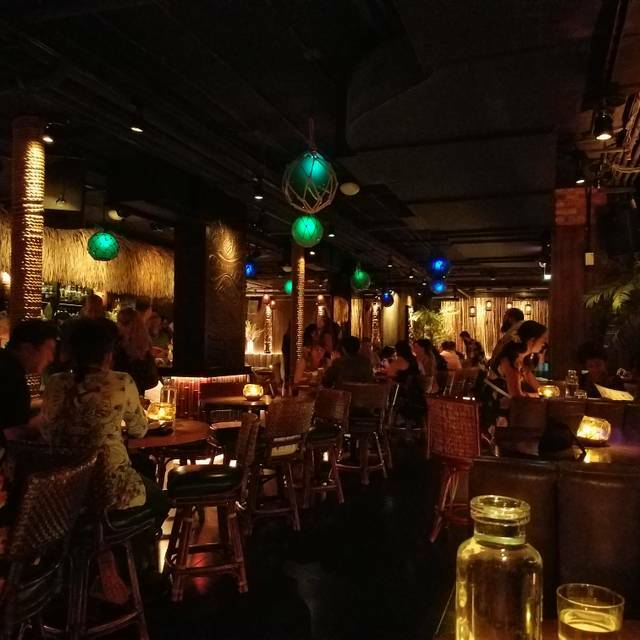 I loved the ambiance, dark and cozy with a tropical feel. The drinks were outstanding, so fresh and delicious. The appetizers were good, but not great. Made a reservation, its the best way to go at this place as it gets very crowded and only limited seating. If you get a table you'll get your drinks quickly otherwise you'll be waiting for a bit at the bar as the drinks are very intricate to make. Go for the drinks and tiki room vibe. Pass on most of the food. Loved the atmosphere and the drinks were delicious! The ambiance was a great surprise for my cousin's birthday. Only disappointment was that I put in my reservation and told the hostess when they called to confirm the booking that it was for a birthday. They told me they had noted it and would bring a birthday shot out which never happened. I didn't press for it since we were having such a good time but it would have been a nice little extra surprise. Regardless I would definitely come back and recommend for a friend. Waitress was sassy a couple times. Not sure why. We did not let it bother us too much thanks to the booze. 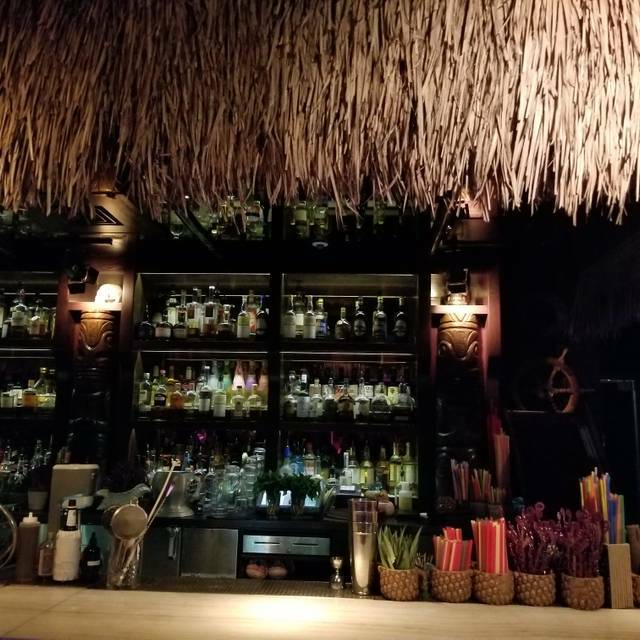 Finding tiki bars is forever part of our 'travel to do' list. While we didn't eat, the drinks were outstanding & the need to ask nearby tables about their order was unavoidable. Every drink we had was unique & memorable. Highlight was the pineapple snowflakes in the Kuikawa. I'd eat that over ice cream. Made a table reservation (which is amazing that there is NO cost to reserve a table) and our party arrived in waves. No issue with that, which is great. Some places don’t let you sit until everyone is there. Drinks are amazing (Cobras Fang- sweet and strong, but mellowed by the absinthe, Birds of Paradise- banana rum, thick viscosity and definitely a sipper). Had the food last time I was there- good small bites (Yucca frites are the BOMB). The server had no issue taking multiple forms of payment (drinks on multiple people’s cards) and was great about it. GReat place to hangout with friends or to go on a casual date. Their signature group cocktails are a must try if going with a larrr group. Great tiki bar for after work or pre dinner drinks! Or skip all that and spend the whole night here! My experience was amazing! It was my sisters birthday and she a had a blast! The ambiance was perfect from the music to the decor! My waitress was very attentive but also gave us our space to enjoy our drinks! And don’t even get me started on the drinks! My party of 5 each order our own drink and a group drink, both were outstanding! Thy also gave my sister a complimentary birthday shot and it mellowed her out so well! All and all and amazing experience and I would recommend to a friend! I will be returning for my birthday this summer! This is a must do in Chicago! We had so much fun and the drinks were AMAZING. Can't wait to go back! I love this place! Great drinks, great atmosphere! Love this place. Quality of drinks - strength. Ambience. Its so much fun. Fantastic drinks chock-full of alcohol! 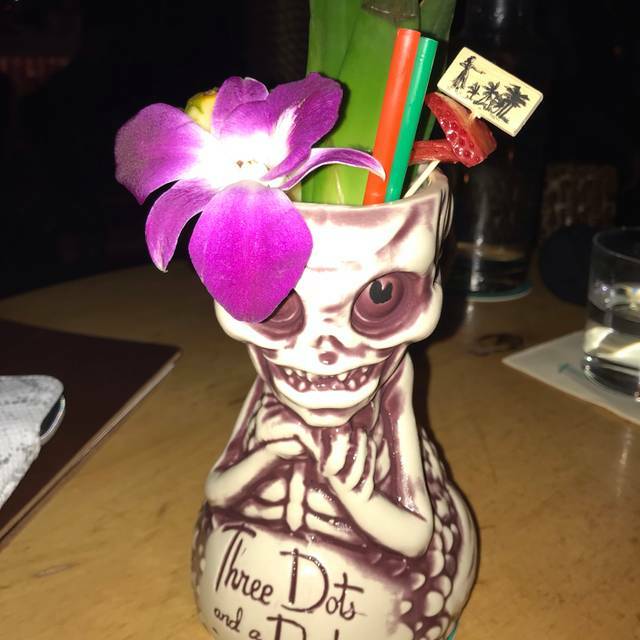 We chose to have the 3 skull drinks (that relate to the intensity of the alcohol) assuming that they wouldn't make them that strong. They WERE that strong! They were phenomenal. The presentation was incredible and the drink transported me to being on a beach in Mexico. Our server was very attentive and the ambiance inside was incredible. We were visiting from out of town and I am so glad we went here!